The green desert clay we love so much makes the most powerful facial masque in the world. 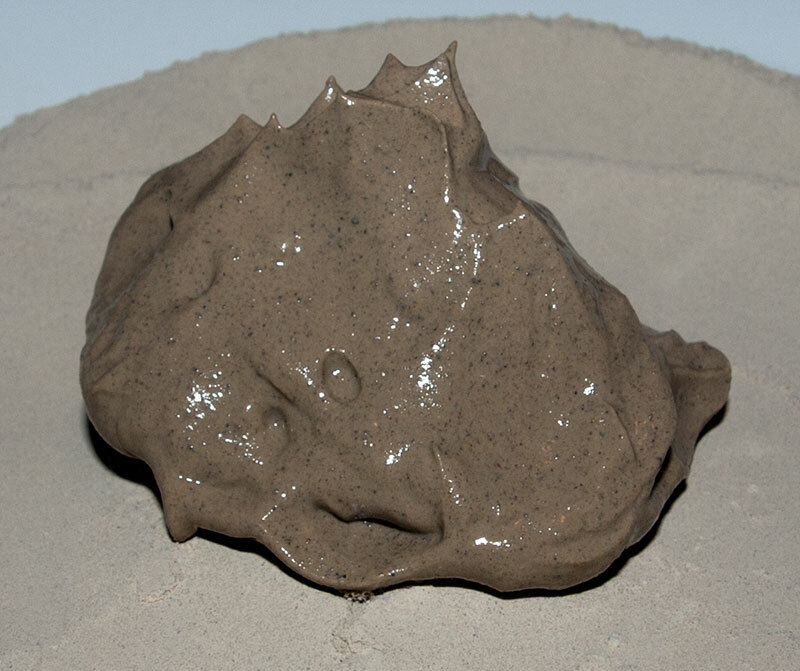 However, as with all “normal” swelling clays and mixed layer bentonites, these clays can be extremely drying to those with less-than-perfect skin. And well it should! If it didn’t pull toxin-filled oils out of the skin, then in wouldn’t be doing its job. For skin care, this is the most common email I receive: I love using clay, but it dries my skin out so much that I can’t use it. When I have the opportunity, I explain that skin health itself is not “genetic”; extremely healthy individuals can use clay on a daily basis and the skin “rehydrates” in about an hour. I remind people that the skin is the largest organ in the body. Not only does it adsorb substances, but the body uses it for detoxification as well. The more taxed the liver/kidneys are, the more the body uses the skin and lungs to expel toxins, which can cause problem skin. While this is certainly– and even profoundly– true, in this day and age it’s nice to be able to have a product that more people can use on a regular basis… A product that helps cleanse and heal the body, without chemicals, soaps or preservatives. Therefore, I’m pleased to announce our newest Tecopia Essentia Three Clay Blend Formulation. This clay blend is suitable for skin care for all skin types and is extremely easy to mix and prepare. It is a well-balanced clay, rich with minerals and more pH balanced for regular use on the skin. This formula would rival and even exceed the quality of clays used in most world-class spas. Hydration Points: Mix one part clay to one part water for a thick clay paste suitable for a thick clay masque. Mix one part clay to 1.25 parts water to create a clay gel with the consistency of liquid soap, suitable for full-body use right before bathing or showering. For added benefit, mix 1/4 teaspoonful of nine times roasted bamboo salt (or other “low sodium chloride” sea salt/mineral) to the water prior to adding the water to the clay. Since different base waters will react differently when sea/salt minerals are used, the general rule of thumb when using these minerals with clay: For a clay and sea mineral BATH, enough natural salts should be used so that the water actually tastes salty. When using clay for normal skin care, enough mineral salts should be used so that the water has a mineral taste, without actually tasting salty! Remember that clay needs to be moist in order to work its magic! While some people like to use a “tightening” masque, allowing thickly applied clay to tighten on-skin can increase wrinkling… and there is no need to allow this to happen! However, for deeper pore cleansing, a tiny amount of clay gel with the consistency of lotion can be applied to the face/skin, and allowed to dry, without actually pulling on the skin! Individuals who purchase this clay blend from greenclays.com , upon email request, can receive our advanced .pdf “booklet” on making advanced water to use with external use clay (optional).